Ae Se De Cafri; Cafreri; Mare Delli. 17in x 10 1/4in (415mm x 265mm). This is a rare opportunity to acquire an original antique Globe Gores, a full half, of South Africa published by Vincenzo Maria Coronelli (1650 - 1718) in the 1693 Venice edition of Atlante Veneto, Libro dei Globi. The Gore is printed on heavy clean cabled paper, with 17th century water-mark, acquired by us in a large collection some years ago. I have included an image of the Western Hemisphere Gores above from Rodney Shirley's reference book "The Mapping of the World" to give you a perspective of the gore. In 1693 Coronelli published all his gores - from the 2in to the 42 in - in an atlas, Libero dei Globi, part of the great series of atlases, Atlante Veneto. Libero dei Globi was published by Coronelli to ensure his work was available to a wider audience, as very few could afford travel to Venice, Rome or Paris to view his completed globes. Paper thickness and quality: - Heavy and stable Paper color : - off white Age of map color: - Colors used: - General color appearance: - Paper size: - 17in x 10 1/4in (415mm x 265mm) Plate size: - 17in x 10 1/4in (415mm x 265mm) Margins: - Min 1/4in (7mm). Margins: - None Plate area: - Several very small worm holes repaired Verso: - None. Background: In the early 1680s Vincenzo Coronelli constructed two vast 15ft diameter terrestrial & celestial globes for Louis XIV of France. These were meticulously hand drawn & engraved. Such was the admiration of these Globes that in 1688 Coronelli began the engraving & publication of Globe Gores for the construction of two 110cm (42in) terrestrial & celestial globes. Yet many scholars still did not have the opportunity to visit Paris, London, Rome or Venice to view them and so Coronelli devised his famous atlas Libero dei Globi the first atlas of globe gores ever produced. The Libro formed part of a great series of atlases by Coronelli, the Atlante Veneto, in which Coronelli was able to combine the two cartographic art forms in which he excelled, maps & globes. The engraving of the gores was of the highest standard with neat contrasting lettering and five large cartouches of a singular grace and elegance. One cartouche situated below Australia carries a portrait of the author and Pope Alexander VI. Some of the more interesting features contained within the Gores are the recording of recent French explorations in North America, such as La Salles journey to the mouth of the Mississippi in 1681-87 & the French possessions within North America. Elsewhere the Caspian Sea is drawn closer to its modern shape, the Nile in Africa is shown without its fictitious source and the Blue Nile is shown correctly from a large lake in Ethiopia. The tracks of Le Maire crossing of the Pacific in 1616 are marked, as is the voyage of Chaumont to Siam in 1685-6. There are an unusual number of legends, all explanatory and informative along with many vignettes of ships and fishing scenes throughout the globe. Coronelli was one of the finest engravers & cartographers of any era, producing some of the most stunning work ever seen. These Globe Gores are no exception. Coronelli was a master craftsman with an eye for detail. You can feel the uncompromising accuracy & passion in his work when you study his maps & globes. These globe gores are scarce, with only a few sales records from the last 25 years. Similarly there is very little choice currently on the market. This scarcity ensures ongoing value and future appreciation. Libero dei Globi - discrepancies: Over the years there has been confusion as to why there are differences of cartographic information to some gores published in Libero dei Globi. The answer I believe is simple. Each of the original 1688 copper-plates measured approximately 25 1/2in (650mm) in length from polar calotte to equator. The total length of the paper for Libero dei Globi was 19 1/2in (495mm). So rather than go through the expensive exercise of re-engraving the copper-plates to a reduced size Coronelli masked about 6 1/2 - 7in in (165 - 175mm) of each copper-plate so it would fit onto the atlas page. It is not known why, either by fate or design, but in different editions of Libero dei Globi the plates were masked at the top of the plate and others the plate was masked at the bottom. This meant that either cartographic data was lost from the equatorial regions or from the Polar regions. The masking also meant that a plate-mark is only evident on three sides of the the gores, a unique way of establishing originality. I tend to believe that the change in masking was deliberate for obvious reasons. This has led to much confusion in the past, as we have very little background information on Coronelli's printing methods in regards to the gores. Ref: Shirley 538; Tooley; Dr. Helen Wallis The Map Collector Dec 1980; Armao, Ermanno. Vincenzo Coronelli Cenni sull'uomo e la sua Vita Catalogo... By that time he was already famous as a mathematician, cartographer and globe maker and his influence led to a revival of interest in these subjects in Italy at the end of the seventeenth century. He was certainly the greatest cartographer of his time there and became Cosmographer to the Venetian Republic, taught geography in the University and, in i68o, founded the first geographical society, the'Academia Cosmografica degli Argonauti'. In his lifetime he compiled and engraved over 500 maps including a large 2-volume work, the Atlante Veneto, somewhat reminiscent of Robert Dudley's Dell' Arcano del Mare; he is equally well known for his construction of very large terrestrial and celestial globes even finer than those of Blaeu, including one, 15 feet in diameter, made for Louis XIV of France. What is an Antique Map. The word Antique in the traditional sense refers to an item that is more than a hundred years old. The majority of antique maps for sale today come from books or atlases and have survived due to the protection offered by the hardback covers. The first thing to determine when staring a collection or purchasing an item, is what is important to you. Most collectors prefer to build their collections around a theme. You may decide to collect maps from one region or country, charting its development through time. Similarly you could collect maps of one particular period in time, by type i. 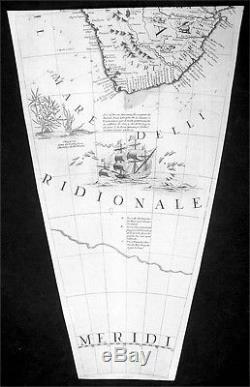 Sea or celestial charts or by cartographer. 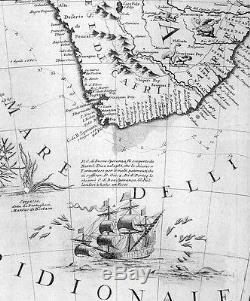 The collector might also want to consider the theme of cartographical misconceptions such as California as an island or Australia as Terra Australis or the Great Southern Land. The subject is so wide that any would-be-collector has almost endless possibilities to find his own little niche within the field, and thereby build a rewarding collection. Starting a collection & pricing. Pricing is based on a number of different factors, the most important of which is regional. In any series of maps the most valuable are usually the World Map and the America/North America. The World because it is usually the most decorative and America because it has the strongest regional market. Other factors that come into play re: price is rarity, age, size, historical importance, decorative value (colour) and overall condition and quality of paper it is printed on. As specialised dealers, we frequently work with first time map buyers who are just starting their collection. So please do not hesitate to and we will be happy to help with any questions you may have. Classical Images was founded 1998 and has built an excellent reputation for supplying high quality original antiquarian maps, historical atlases, antique books and prints. We carry an extensive inventory of antiquarian collectibles from the 15th to 19th century. Our collection typically includes rare books and decorative antique maps and prints by renowned cartographers, authors and engravers. Specific items not listed may be sourced on request. Classical Images adheres to the Codes of Ethics outlined by the Antiquarian Booksellers Association of America (ABAA). We are a primarily an online based enterprise, however our inventory may be viewed by appointment. The item "1693 Coronelli Large Original Antique Map, Globe Gore of South Africa Superb" is in sale since Sunday, March 25, 2018.